With the adoption of the Common Core State Standards (CCSS) bymost of the United States, students need help developing theirunderstanding and use of language within the ­academiccontext. This is crucially important throughout middle school andhigh school, as the subjects ­discussed and concepts taughtrequire a firm grasp of language in order to understand the greatercomplexity of the subject matter. 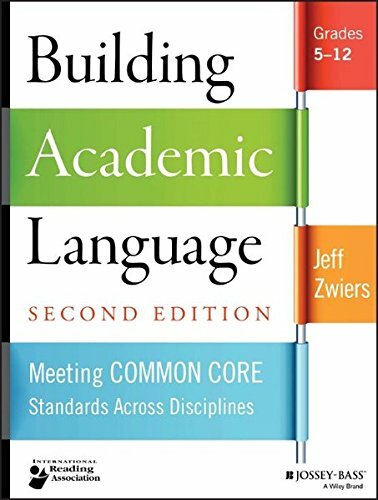 Building AcademicLanguage shows teachers what they can do to help theirstudents grasp language principles and develop the language skillsthey’ll need to reach their highest levels of academicachievement. What is academic language and how does it differ by contentarea? How can language-building activities support contentunderstanding for students? How can teachers assist students in using language moreeffectively, especially in the academic context? How can academic language usage be modeled routinely in theclassroom? How can lesson planning and assessment support academiclanguage development? An essential resource for teaching all students, this bookexplains what every teacher needs to know about language forsupporting reading, writing, and academic learning. If you have any questions about this product by Jossey-Bass, contact us by completing and submitting the form below. If you are looking for a specif part number, please include it with your message.